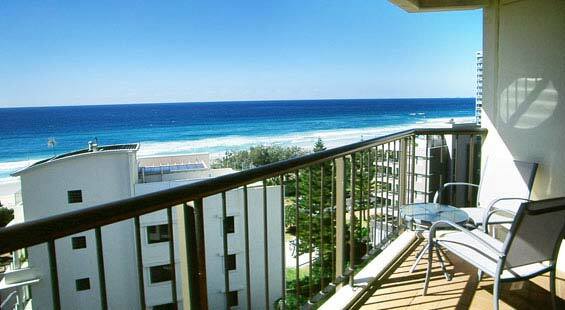 8 Trickett Street, Surfers Paradise, Queensland, 4217 Australia. 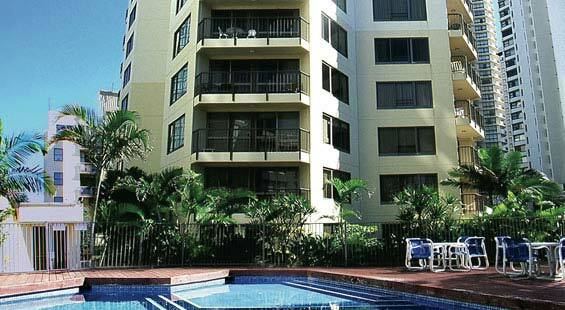 Just a hop, skip and jump away from the heart of Surfers Paradise, Aloha offers a great location and affordable accommodation in Australia’s most popular tourist destination. 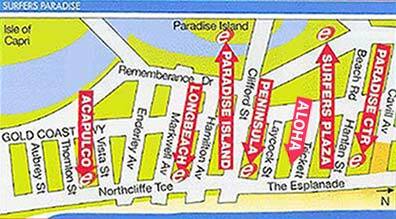 Whether you are planning a family holiday or a well-deserved ‘party until dawn’ getaway, Aloha is the perfect solution. 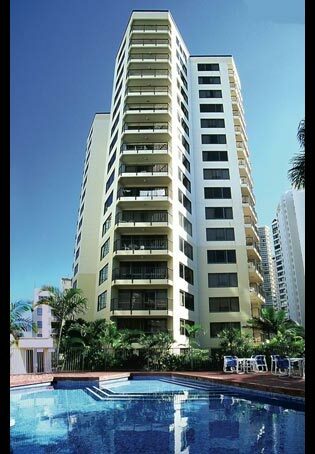 Located just two blocks from the cosmopolitan hub of Cavill Avenue, the resort is opposite the surf-patrolled Surfers Paradise beach. The high-rise resort offers self-contained one and two bedroom apartments with stunning views, private balconies, cable TV and fully-equipped kitchen and laundry facilities. 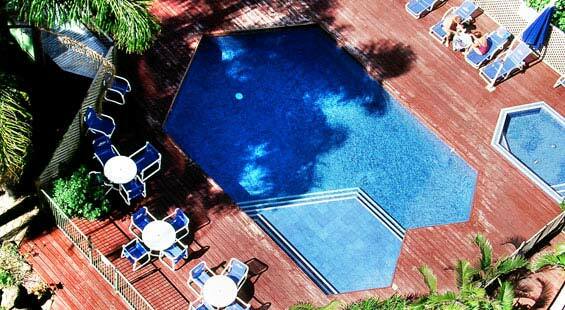 Recreational facilities include an outdoor swimming pool, spa, sauna, tennis court, BBQ facilities and a games room for the kids. The award winning Montezuma’s Mexican restaurant and bar is located onsite offering a lively dining atmosphere.